Provide comfort for the family of Paula Micklo DuPree with a meaningful gesture of sympathy. 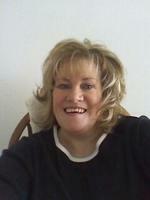 Paula Micklo DuPree of Bensalem, PA passed away peacefully with her loving husband and sister by her side. Paula was born in Syracuse, NY, and graduated from Solvay High School and Powelson Business Institute. Paula worked as a secretary at Syracuse University, Bristol Myers and Legal Services of CNY. She relocated to Bensalem, PA 25 years ago and worked at Begley, Carlin & Mandio Law Firm, retiring in 2006. Paula will be remembered as a devoted wife, sister, friend and “Auntie”. She was an avid SU and Philly sports fan. She loved her pets, especially her dog, Bailey. She is survived by her husband of 25 years, Paul; sisters, Patricia (James) DuPree and Marcia Collins; and several nieces, nephews and cousins. She was predeceased by her parents, Paul Micklo and Sylvia Langewicz (Richard). Family and friends may call from 4:00 to 7:00 pm on Monday, April 1st at Eaton-Tubbs Fayetteville Chapel, 7191 E. Genesee St., Fayetteville. A memorial Mass will be held at 9:30 am on Tuesday, April 2nd at St. Cecilia’s Church, 1001 Woods Rd. Solvay. Private burial will be in St. Mary’s Cemetery in DeWitt. In lieu of flowers, contributions may be made to CNY SPCA, 5878 E. Molloy Rd., Syracuse, NY 13211 or Bensalem Emergency Medical Services, 3830 Hulmeville Rd., Bensalem, PA 19020. We encourage you to share your most beloved memories of Paula Micklo here, so that the family and other loved ones can always see it. You can upload cherished photographs, or share your favorite stories, and can even comment on those shared by others. May the family of Paula Micklo DuPree please accept my sincere condolences hoping you find comfort in God's words at Acts 24 : 15 and Psalm 37 : 29.